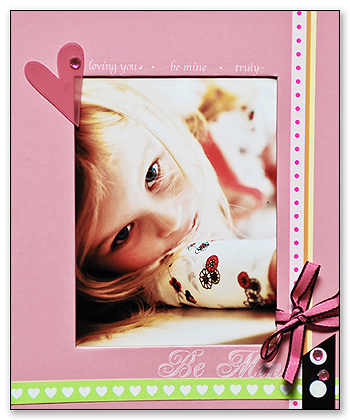 Heidi Swapp's 'Love' frame kit is just so beautiful and girlie - Donna was thrilled to accept this particular dt challenge. Most of what you see in this layout is taken straight out of the kit. The rubons that adorn the two chipboard frames are definitely Donna's favourite, with the jewels and decorative tape coming a very close second! Molly Twoddle. How cute is that?! Donna put this adorable photo frame together, literally in 10 mins. Seriously. 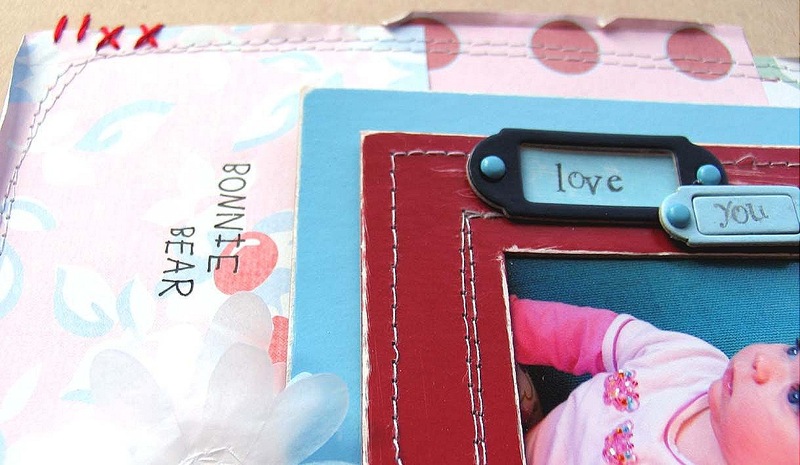 It took no time at all to adhere a couple small strips of SEI pp, rub-on some simple sentiments from the frame kit, tie a ribbon, add some tape and jewels and last, but not least a ghost heart. This is a fabulous gift idea and would look great sitting on a desk or with a magnet attached...on the fridge. In Mel's words "I just love the versatility of the Heidi Swapp Frame Kits. 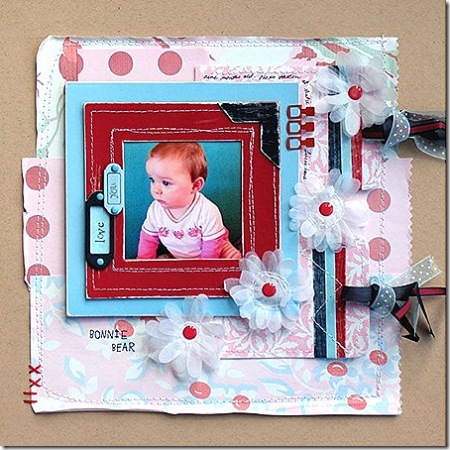 For my challenge layout I chose the Preppy kit because I was really drawn to the scrumptious mix of red and blues with a splash of white. 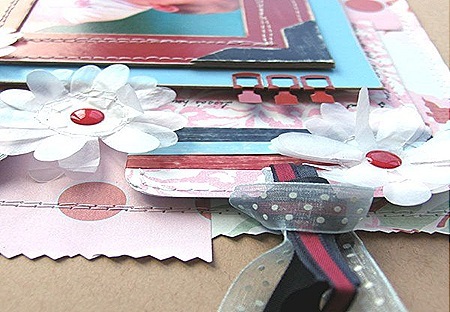 The kit was filled to brim with frames, tissue flowers (so nice to work with), ribbons, clips, bookplates, brads plus more. I still have a generous amount of product left after completing this layout that will be fabulous for cards or to add to other projects in the future. Such a great challenge!" 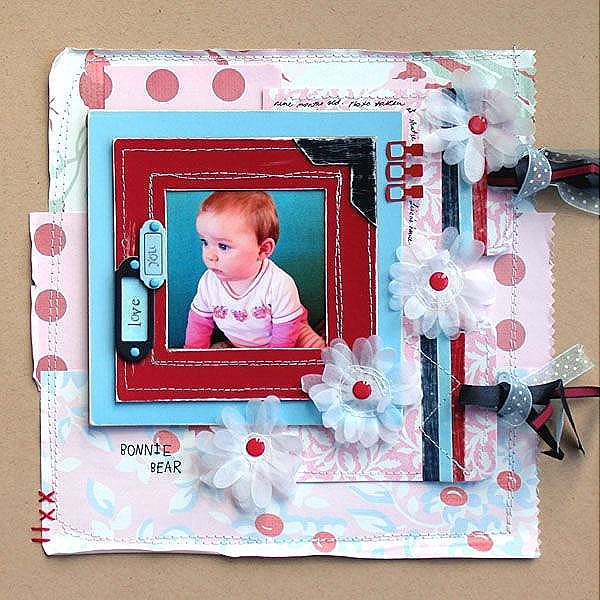 For this layout Mel has mixed the kit with some of her favourite Jenni Bowlin papers and added some machine and hand stitching. The frame has been mounted with 3D dots to help add a nice dimension to the page. 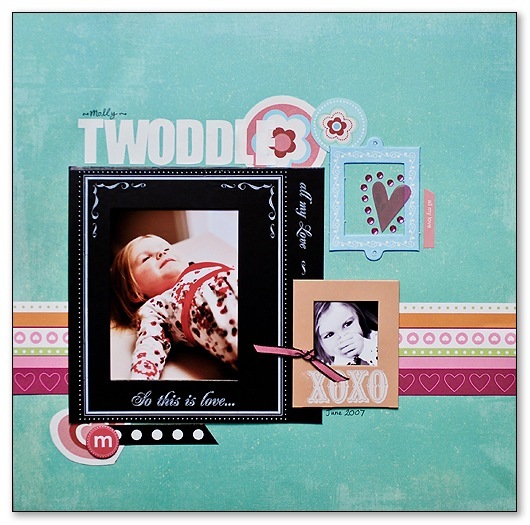 Finally, here's another little work of art Maxine created from her frame kit that slipped off our first post! 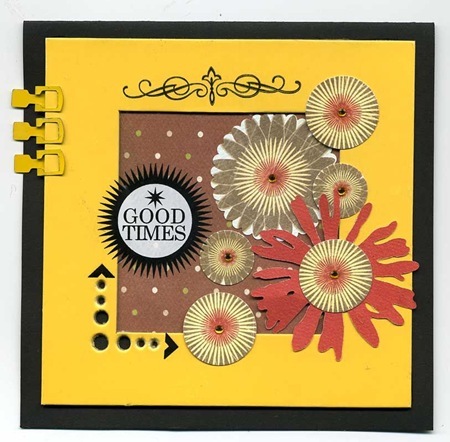 Max found that this last little funky bright yellow HS frame was the perfect size to create a square card. To funk it up even more Maxine punched holes in the lower left corner, adding some arrow rub-ons to the pattern.